When will Ezekiel 38-39 be fulfilled? Ezekiel 38:2-3 gives the prophetic name of the leader of this coalition of nations: “Gog, prince of Rosh, Meshech and Tubal.” Whether Gog is a real name like in 1 Chronicles 5:4 or is a title for a supreme position such as king or president remains to be seen. Whether Gog is the Antichrist or not depends on when one places the timing of the Gog-Magog Battle, which will be addressed later. The remaining answers each have their own pros and cons, and so each will later be addressed more in detail. Before looking at the different views in the timing of the Gog-Magog Battle, though, I want to revisit Rosh being claimed as modern-day Russia. Because Russia doesn’t seem to fit into the Islamic national identity that the other coalition nations now share and the historical debate over the identity of Rosh, it is important to identifying the timing of the Gog-Magog Battle that Rosh is indeed properly identified as Russia. 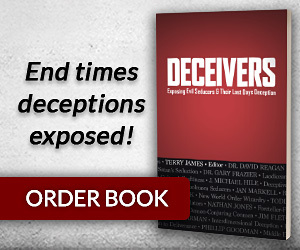 We’ll look at the research given by Dr. Ron Rhodes of Reasoning From the Scriptures Ministries in his authoritative book on Ezekiel 38-39 titled Northern Storm Rising, and I’ll add some of my own points. Looking at Ezekiel 38:3 in the New International Version, the King James Version, the English Standard Version and others — the word “Rosh” is missing from the list. 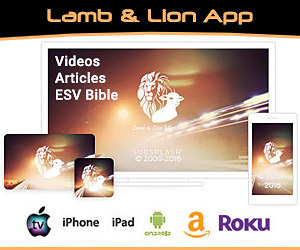 If one looks at the New King James Version, New American Standard Version, Amplified Version, the Darby Translation and others — Rosh is present in the list of nations. Why the differences in translation? The difference, Dr. Rhodes reports, is the challenge for the translators to interpret the word “Rosh” or “Ros” as a noun based on the actual land, or as an adjective based on the Hebrew word “Rosh” which means “head,” “top,” “summit,” or “chief.”1 The NAS translators went with the noun form of “Rosh,” while the NIV translators went with the adjective form. Translations based on the Greek Septuagint (LXX) follow the noun form, while those based on the Latin Vulgate follow the adjective form. While I love studying in the NIV, for the following reasons I believe that the noun interpretation of “Rosh” as a distinct land that is modern-day Russia is the valid interpretation. 7) Ezekiel 39:1-2 claims Rosh to be “from the remotest parts of the north.” No other nation exists more directly north and is more remote than modern-day Russia. 8) Current news reports repeatedly show that Russia has very quickly solidified economic and military ties with the nations involved in the Gog-Magog coalition. Russia is building a nuclear reactor in Iran and arming Islamic nations. Russia has also made known their expressed interest in getting a foot-hold into the Middle East to help control its vast oil reserves. Israel’s newly found gas deposits are a direct threat to Russia’s hold over the natural gas supply line. 9) Russia nationally has a long and historic violent streak of Anti-Semitism that God won’t leave unresponded to. 10) When all arguments for or against Russia as being Rosh are put on the table, pure “Vulcan” logic would dictate that Russia can be the only logical descendent of the Rosh people. 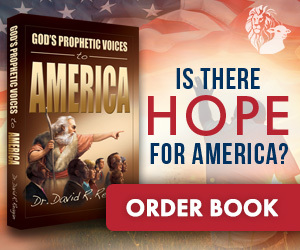 The following two views lie heavily on the Pre-Tribulation Rapture viewpoint. 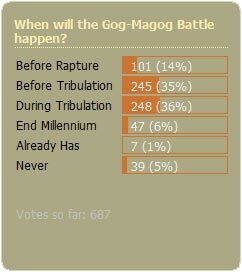 Of the 687 respondents who voted on our “When will the Gog-Magog Battle take place?” poll, 101 (14%) voted “Before the Rapture” and 245 (35%) voted “Before the Tribulation.” Combining those views would be the “Before Both the Rapture and the Tribulation” view. 1) Israel using seven years to utilize the weaponry of the invaders for fuel (Ezek. 39:9) matches the seven years “Seventieth Week of Daniel” (Dan. 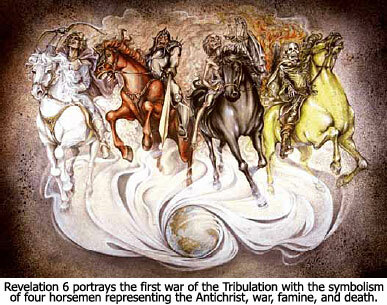 9:27) that the Tribulation will last. The “sevens” complement each other in a timeline. 3) The New Testament teaching that no prophetic event has to occur before the Rapture, called “imminency.” Imminency precludes such prophetic events like the Gog-Magog Battle from happening before the Rapture. 4) The removal of the “Restrainer” (2 Thes. 2:6-8) causes the Antichrist to emerge. Because the Church is the temple of the Holy Spirit (1 Cor. 3:16), the Rapture has to happen before the Antichrist can come on the scene and provide the peace Israel’s looking for. 5) A timing problem exists for Israel in that midway through the Tribulation the Antichrist’s abomination in the newly built Temple will cause the Jews to flee into the desert (Matt. 24:15-16). 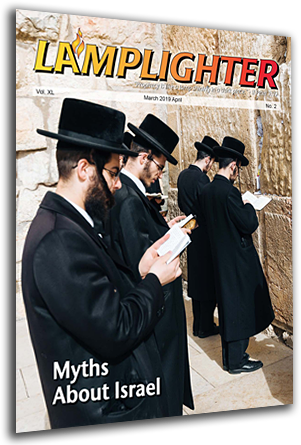 The Jews will no longer have access to the Gog-Magog invader’s weapons to burn. And so, the seven years of Tribulation can no longer match the seven years of burning the weapons. 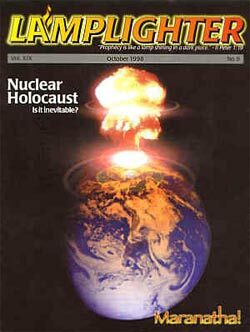 2) The peaceful precondition of Ezekiel 38:11 in which Israel has to be living unsuspecting and in peace before the Gog-Magog Battle may only occur because of the peace covenant with the Antichrist, who can’t be revealed until the Tribulation begins. 3) The prosperity described in Ezekiel 38-39 that Israel possess would be fulfilled by God’s blessings on Israel during the Millennial Kingdom. 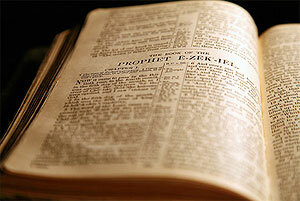 1) Ezekiel’s chapters would be out of order with this view. Ezekiel 33-39 cover the restoration of Israel and are followed by chapters 40-48 which describe Israel during the Millennial Kingdom. 8) Ezekiel’s and Revelation’s descriptions of the invader’s rulers do not match. 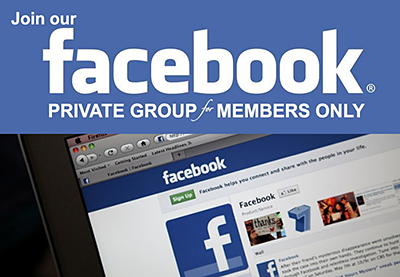 “Gog” is in control of the coalition against Israel in Ezekiel’s account, whereas Satan is in control of the coalition against Jesus in Revelation’s account. While Satan is clearly mentioned in Revelation’s account, it is unknown if Gog is possessed by Satan or is a man possessed by Satan. 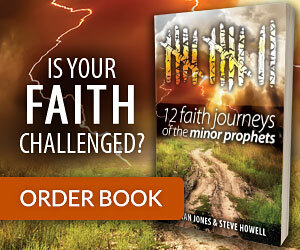 9) Ezekiel’s and Revelation’s descriptions of Israel’s faith does not match. 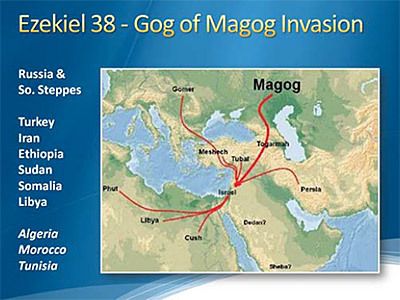 In Ezekiel 38-39, God uses the Gog-Magog Battle to make Himself known to Israel and the world. In Revelation 20, Israel has acknowledged Jesus as God and King for 1,000 years. 10) John’s use of “Gog” and “Magog” in Revelation 20 is more likely to draw a comparison between Ezekiel’s Gog-Magog Battle and the one John is describing at the end of the Millennial Kingdom. 11) The unbelieving children of the Tribulation saints who have survived to live into the Millennial Kingdom will be the ones who wage war against God at the end of the Millennium, as opposed to the children from the age of the “time of the Gentiles” who wage war in Ezekiel and Jesus’ accounts (Luke 21:24). I’ll conclude this article by analyzing the views and stating when I believe the Gog-Magog Battle will take place. Let me go on the record, though, by stating that I am not dogmatic about this end time topic, nor should anyone be. 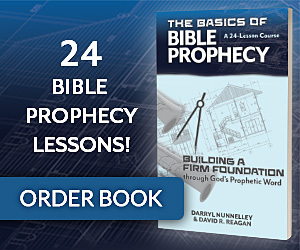 The study of the end times (eschatology) is non-primary. Since God has given mankind merely an overview of His future plans, He has left us with nothing concrete enough to pinpoint the exact timing, probably so that we Christians will not just sit quietly by, but get out there and witness with all our energy until the Lord’s return. The study and debate over when the Gog-Magog Battle will take place should never divide the brethren. The three views that time the Gog-Magog Battle in relation to the Millennium do great justice to the first prerequisite in putting Israel at a time of peace due to Jesus’ victory and reign, but cannot overcome the obstacles of the second prerequisite. With Jesus having subjected all His enemies before the start of the Millennium, there would be no invaders to invade. With no invaders, there are no bodies to bury nor weapons to burn. The best of the three Millennial views is the one placing the timing at the end of the Millennial Kingdom, which Revelation 20:7-8 describes as an uprising of unbelievers born during the Millennium that are led by Satan to his final defeat. While there are some similarities to Ezekiel’s account of the Gog-Magog Battle, the dissimilarities prove Ezekiel is talking about a different Gog-Magog Battle than the battle the Apostle John is describing. I agree that John’s use of “Gog” and “Magog” in Revelation 20 is more likely to draw a comparison between Ezekiel’s Gog-Magog Battle as a type of what the battle will be like at the end of the Millennial Kingdom. Like the view that proposes Ezekiel’s Gog-Magog Battle is the uprising of Satan at the end of the Millennial Kingdom, the view that places the timing at the end of the Tribulation proposes that Ezekiel’s Gog-Magog Battle is Armageddon. While similarities exist between Gog-Magog and Armageddon, their differences far outweigh their similarities. Also, placing the battle at the end of the Tribulation violates the first prerequisite that Israel is living in peace, a condition which would be impossible under the intense persecution by the Antichrist and Israel’s subsequent flight into the desert. 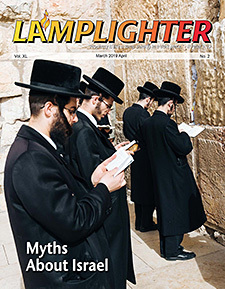 Placing the timing at the beginning, but not by the middle, of the Tribulation gives Israel the seven months to bury the dead invaders and the full seven years to burn the fuel if they have a reserve of it where they flee to. This view would need then to settle the peaceful condition of Israel by resting it on either the peace covenant with the Antichrist (Dan. 9:27) or a Psalm 83 subjugation of Israel’s surrounding hostile neighbors. The two views that place the timing of the Gog-Magog Battle before the Tribulation can perfectly grant the time needed to burn the weapons — the full seven years if the Jews have a reserve of it where they flee to, or at least 3 1/2 years before the Tribulation to the middle of the Tribulation before the Jews flee. But, since the Tribulation begins with the peace covenant between the Antichrist and Israel, the only viable scenario for a peaceful prerequisite would be a Psalm 83 fulfillment or to take Ezekiel’s description of Israel being at peace to mean they’re militarily secure, which with the world’s fourth largest military they are today. Israel subjugates her surrounding neighbors in fulfillment of Psalm 83. The Gog-Magog Battle destroys the Russian and Muslim influence in the Middle East, makes the world aware of God’s presence, and restores Israel’s belief in the God of the Torah. The Antichrist conquers what’s left of the Middle East and makes a peace covenant with Israel to complete the Revived Roman Empire. Jesus returns at the end of the seven years to defeat His enemies at Armageddon resulting in Israel acknowledging that Jesus is God’s Son. 1) Rhodes, Dr. Ron, Northern Storm Rising, (Eugene, OR: Harvest House Publishing, 2008), p. 105. Another Thousand Years Before Gog?